Based on the unofficial results, the GPRC Wolves Womens X-Country team placed third at the NAIT Openin Edmonton on Saturday. Rookie Jamie Wigmore again led the Wolves with a 5th place finish. She covered the muddy, hilly 5 km in a time of 22:04. Teammates Amanda Patteson (10th) and Kayla Hardy (14th) also chipped in with top 15 finishes. Other Wolves finishers included Stephanie Marcotte (29th), Chassity Mohan (37th), Calla Scott (44th), Emily Whalen (50th), and Kirsten Manz (57th). MacEwan University won the team title, its fifth straight ACAC race win this season. Lethbridge College finished second, a scant 3 points better than the Wolves. In the mens 8 km race, the Wolves had a tough day. With three of its top runners left at home due to illness and injury, an under-manned group consistenting Hayden Hollowell (14th), Joren Manz (18th), Cody Krantz (42nd), and Ryan Peters-Friesen (45th) placed 8th in a field of 9 complete teams. The Wolves next x-country race is this Saturday, when they co- host the Sorkenville Masacre Relay in Tee Pee Creek along with the Grande Prairie Schooners Masters Swim Club. 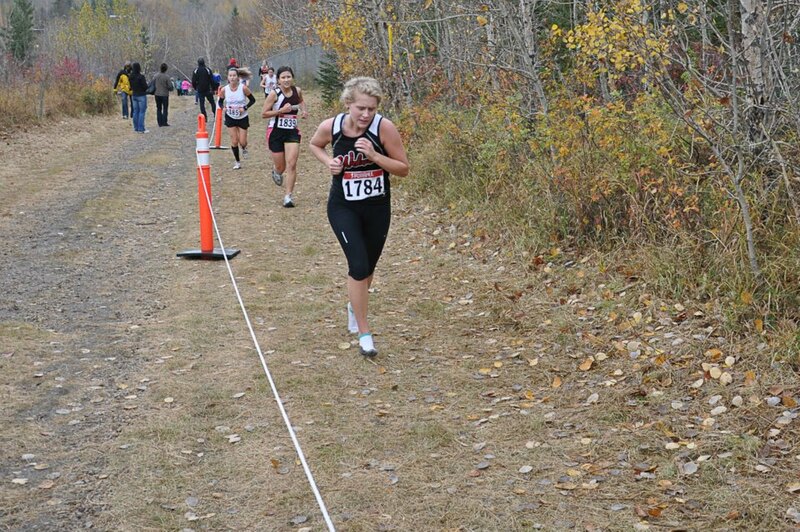 This entry was posted in Cross Country, Uncategorized and tagged ACAC, Cross Country, GPRC Wolves X-C Running, Grant MacEwan University, Lethbridge College, NAIT, Running, Wolves. Bookmark the permalink.